A wrongful conviction can be understood as the conviction of an individual of a crime that person did not commit. The “crime that person did not commit” could refer to an “actual innocence” mistake (in which the convicted offender was not even involved in the actual crime), or it could refer to a “legal innocence” mistake (in which the convicted individual was involved in the crime to a different extent than the crime represented by the charge). The wrongful conviction of innocent people has gradually been recognized over the last quarter of a century as a problem for the Canadian criminal justice system. It is extremely difficult to determine the number of wrongful convictions in Canada. A situation where an individual is found to be legally guilty of a crime he or she did not commit; and the actual perpetrator is out free in the world. For a variety of reasons a person may be wrongfully convicted of a crime he or she did not commit, and the only way to prove his or her innocence is in a court of law. One of the major aspects of wrongful convictions is the tunnel vision; it results when there is a narrow focus on a limited range of alternatives. Tunnel vision is insidious and it results in the police officer becoming so confused upon an individual or incident that no other person or incident register’s in the officer’s thoughts. Canadian wrongful conviction victims are: Donald Marshall Jr., James Driskell, David Milgaard, William Mullins-Johnson, Steven Truscott, Kyle Unger. While conducting an initial Google search on the topic “The Role of Police in Wrongful Convictions in Canada”, a number of interesting cases emerged. 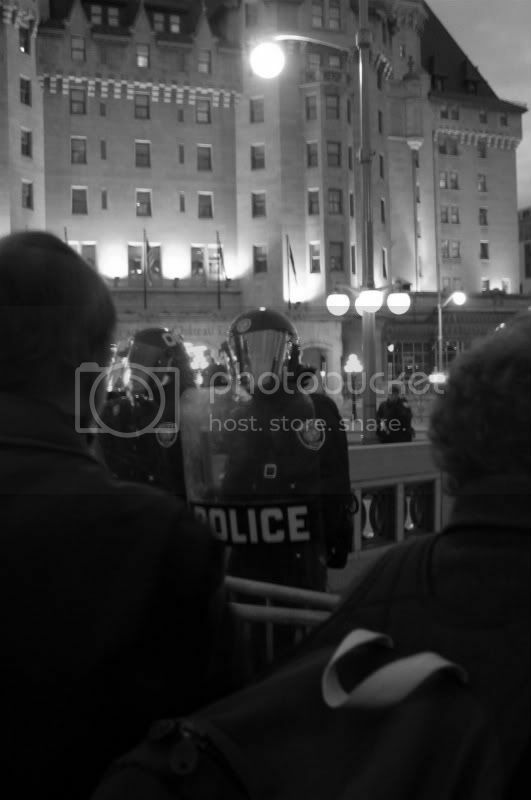 One of the result was a news article published by CBC news that highlights some major cases in Canadian history. This article has twelve cases and a brief description for each case and it is fairly recent because it was updated in October/2010. An interesting case that was found during the preliminary research done on the topic is the case of Donald Marshall Jr case. The late Mr. Marshall was as a young Aboriginal man from Nova Scotia imprisoned 11 years for a murder he did not commit. The Marshall case was the subject of the first public inquiry into a wrongful conviction in Canada. The inquiry first raised awareness about wrongful convictions and it also made important recommendations about how to prevent them in the future. Another interesting case was found is the case of Tammy Marquardt A young single mother from Ontario who was imprisoned for 13 years for the murder of her two and one half year son on the basis of erroneous forensic pathology expert testimony that the cause of her son’s death was asphyxia. The term miscarriage of justice is not defined in legislation, but has been broadly defined by courts to include cases “where there was no unfairness at trial, but evidence was admitted on appeal that placed the reliability of the conviction in serious doubt. In these cases, the miscarriage of justice lies not in the conduct of the trial or even the conviction entered at trial, but rather in maintaining the conviction in the face of new evidence that renders the conviction factually unreliable.” Miscarriages of justice are not limited to cases of proven or factual innocence and include both cases where there have been unfair trials or the reliability of the conviction is in serious doubt. Justice Kaufman in an important report advising the Minister of Justice whether to reopen a conviction has stressed that a miscarriage of justice would occur both if an innocent person was convicted or if new evidence could reasonably have affected the verdict. In the latter circumstances “it would be unfair to maintain the accuser’s conviction without an opportunity for the trier of fact to consider new evidence.” Thus convictions in Canada can be both re-opened and quashed on grounds short of proven innocence. In my view, this is a strength of the Canadian system given the practical difficulties of establishing innocence in a definitive manner. The various research that has been conducted on this topic primarily focuses on the phenomenon of tunnel vision, which Margaret Beare defines in her scholarly article Shouting Innocence from the Highest Rooftop, “the single-minded and overly narrow focus on an investigation or prosecutorial theory so as to unreasonably color the evaluation of information received and one’s conduct in response to the information” (Margaret Beare, 2008, p.21). The article “Shouting Innocence from the Highest Rooftop” is Margaret Beare’s research on a project undertaken with Dianne Martin that was still incomplete at the time of the latter’s sudden death. The objective was to asses the degree to which the police had or had not implemented recommendations for changes in police procedures made by inquiries, task, forces, commissions and auditor general’s reports. The recommendations are based on wrongful convictions. The over representation of judges and lawyers in the evaluating process and the privileging of legal knowledge over social science or other scholarships appear to be endemic. It is also easier to formulate languages like “tunnel vision” and systemic missteps to characterize weaknesses in the system than to provide concrete examples how to provide those in the future. There is a tendency to revert to blaming individuals or rotten apples despite having identified the whole system per as contributing to the wrong outcome. The idea of Noble Cause Corruption is a mindset or sub-culture which fosters a belief that the ends justify the means. In other words, law enforcement is engaged in a mission to make our streets and communities safe, and if that requires suspending the constitution or violating laws ourselves in order to accomplish our mission, then for the greater good of society, so be it. The officers who adopt this philosophy lose their moral compass. This type of thinking is misguided and places the officer at risk of losing his/her job, facing criminal charges, and seriously damaging the reputation of their agency. Some examples include: lying in court to convict a suspect, also referred to as “testifying,” planting evidence on suspects, and falsifying reports. According to Beare, the noble cause corruption when the “justice officials – in the name of getting a conviction – are prepared to violate laws, Charter protections, and any number of ethical considerations” (Beare, 2008, p.33). As the pace of DNA exoneration has grown across the country in recent years, wrongful convictions have revealed disturbing fissures and trends in our criminal justice system. Together, these cases show us how the criminal justice system is broken – and how urgently it needs to be fixed. 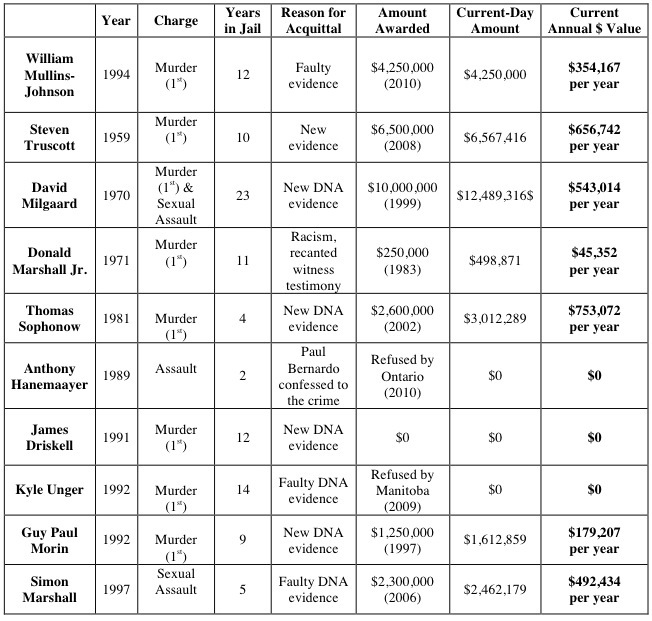 In 2001, the Center on Wrongful Convictions at Northwestern Law School analyzed the cases of 86 death row exonerees. They found a number of reasons why innocent people are wrongly convicted in capital cases. Also Marvin Zalman give other factors in wrongful convictions, included in their article “Criminal Justice System Reform and Wrongful Conviction”, Which describes the nature and importance of wrongful conviction as a criminal justice policy issue, the development of an innocence movement to litigate on behalf of potential exonerees and to promote policy issues, the innocence movement’s policy and research agenda, and the very small amount of criminal justice research on the issue in comparison to legal and psychological inquiry. Wrongful Conviction as a Policy Issue: This section describes the policy salience of wrongful conviction, the nature of the emerging innocence movement, the movement’s reform and research agenda, and the limited nature of innocence research by criminologists and criminal justice scholars. “Wrongful conviction is now an issue on the public agenda. The news media, long Supportive of prosecutors, are now sensitized to miscarriages of justice, and their Continuing reports of exoneration keeps the issue in the public eye”. (Tulsky, 2006; Warden, 2003). Marvin Zalman also makes a specific points about the civil cases, fair trial rights vindicate the truth, “while government misconduct is revealed as having concealed evidence of a Person’s innocence, leading to a gross miscarriage of justice” (Garrett, 2005, p. 38). As a result of the DNA revolution, it is now thought that wrongful convictions are so frequent as to constitute a major policy concern that poses a serious challenge to the fairness and accuracy of the Criminal justice process. This article has proposed a broad research agenda addressing the new innocence movement that works to clear wrongly convicted convicts and to generate and publicize policy changes that logically should reduce miscarriages of justice. Wrongful convictions are an inherently difficult topic to study, but the increase in exonerations over the past two decades has accentuated the need for research on how and why wrongful convictions occur. The major factor contributing to the increased discovery of wrongful convictions has been the use of post-conviction DNA examinations. Exoneration using DNA evidence have been well publicized, whereas non-DNA exoneration have typically been difficult to track, but both are important in determining the major factors behind wrongful conviction. In conclusion, there can be no greater failure of the Criminal Justice System than to convict an innocent person. Yet we know it happens, and with greater frequency than once believed. If one extrapolates from the 197 convicted persons exonerated by DNA of serious crimes in the U.S., and the small but growing number in Canada, it is only reasonable to assume that the actual number is far greater, because of the high number of cases where DNA was not available to assist in determining the truth. This is unacceptable. Fortunately, it is possible to greatly reduce the potential for wrongful convictions. In every Canadian case discussed earlier, serious, avoidable errors were made in the police investigations (as well as by other players in the Criminal Justice System). There is now considerable research on why investigative failures leading to wrongful convictions occur, which provides the road map to preventing them. Proper recruiting and training, implementation of the major case management model, fostering a culture of excellence in ethical investigations, and ongoing education into the causes of wrongful convictions and proper investigative techniques are necessary to create an environment in which only the guilty are convicted, not the innocent. A wrongful conviction not only hurts the individual convicted, it hurts society, both in terms of the true guilty party being allowed to remain free, but also in terms of the public’s confidence in the Criminal Justice System. The police play a pivotal role in this system, and must play a similarly significant role in working to prevent wrongful convictions. The question arises, what can we as a society to do help combat wrongful convictions? Can we do anything in regards to police training? Police organization both on the Canadian and United States end faced plenty of public shame because of the deportation and torture of Maher Arar. Maher Arar was deported to Syria to be tortured in which United States officials tried receive answer to his allege ties to al-Qaeda. What these officials concluded was Maher had no ties to the terrorist group and he received a large compensation for the time he was tortured. But to this day he is still under the United States watch list (Lobel, 2008). This situation have made people in Canada worried in which it may happen to them (rapley, 2007). It has led many to judge the authorities because of this devious act. Faith in the way the police carry themselves is diminishing, because police deviance and corruption has been a growing concern with much more videos and pictures of police brutality (Click on this link to see a list of videos of police brutality) being showed through the media and social networks. This topic is related to police deviance and accountability through what Maurice Punch (2009) stated called noble cause corruption. Noble Cause corruption is defined as concept of officers’ acting illegally, not for personal gain, but to fulfill moral obligations, stands as a testimony to the difficulties encountered by those entrusted with the public’s safety (Harrison, 1999). Canadian authorities and United States authorities acted on false information that stated Maher Arar was a suspected terrorist (Lobel, 2008), and these authorities were protecting their citizens from a possible threat. Aside from taking care of the well being of their countries, these authorities have come under fire as to why the Maher Arar situation was handled the way it did. Authorities cut corners in the investigation which led them to be able to detain a Canadian citizen in Maher Arar. The United States authorities did not deport Arar back to Canada, instead deport him to Syria where they practice torture. Also United States and the Syrian authorities worked together to allow Maher Arar to be tortured for one year (Lobel, 2008). Maher Arar was denied access to speak to a lawyer. And he was not allowed to be seen by a lawyer for the time he was in Syria. While in the United States Arar was denied the right speak to a lawyer as well. Process corruption also would be regarded to the Arar case about police deviance. Process corruption and noble cause corruption can linked together in police deviance (Punch, 2009). In article Witch Hunts: From Salem To Guantanamo Bay process of investigation, detention, and incarceration of Maher Arar was corrupt. It was reported that Maher Arar was constantly denied to speak to anyone from Canada. Many time he ask to speak to his family member and lawyers but was not allowed to at the expense of the United States authorities. Same thing happened to him while incarcerated in Syria. Upon his release Maher Arar was denied a public inquiry from the Canadian Government. The process of this case was also corrupt because under international agreement, it was stated that the Canadian authorities should have been informed of Maher Arar being detained because he is Canadian citizen (Rapley, 2007). United states failed to inform the Canadian authorities of Maher arar being detained. The United States officials did not have sufficient evidence to go and detain and deport Maher Arar (Lobel, 2009). With the added attention to national security and war on terror, around the same time Maher Arar was first pulled aside have the officials on both side acting base d on a term noted in Police corruption: Deviance, Accountability, and reform in policing by Maurice Punch (2009) as being seen as “high policing”. The term high policing are noted in this text as absorbent policing it controlled by intelligence gathering. Intelligence gathering is one of the principles of high policing. With the information that was shared among both US and Canadian officials, it was poorly reviewed and therefore erroneous as they decided on deporting Maher Arar to Syria (Larsen, 2006). There are a stack of books that invesigated The Arar Affair, and these books are The O’Conner Commission. The inquiry that Maher Arar reluctantly wanted; it showcased many problems of high policing and police deviance in this case and cleared Maher Arar from any wrong doings that occured. The highlights of this inquiry noted that Maher Arar was in no way connected to any terrorist groups which he was first accused of. In Addition to this inquiry Arar and his attorney were both mislead and mistreated because they were mislead and lied to during the detainment and deportation. A complaint to the former US Attorney General John Ashcroft stated that Arar due process rights was violated under the fifth amendment due to him being deported, imprisoned, and tortured (Lobel, 2008) and that both the US Government and Syrian work together as a team during their investigations. Since Arar was never charged with his allege ties to terrorism, he demanded answer as to why he was detain and deported. After being released on October 5 2003 Maher Arar demanded that a public inquiry be issued. Public inquiry in Canada is formal process to be instituted by the government, it requires one or more commissioner and it entails the right to subpoenas witnesses (Rapley, 2007). But the Canadian government denied his request for one. After going back and forth with the government Arar was able to obtain an inquiry, but only on the RCMP, and it was stated that the inquiry was not public (Rapley, 2007). His persistence to prove his innocence, he eventually received a inquiry (O’Conner Commission) only into the RCMP in what led people to believe the government had to much to hide in this case. The Maher Arar case showcase a transformation of the all ready existent policy called rendition, which was a criminal law technique now transformed into a preventative tactic after 9/11 (Lobel, 2008). During the Bush administration, kidnapping was a method used to extradite fugitives that were accused of a crime. Rendition was illegal under the international law but it was used to being terrorist or suspects of terrorism to the United States or other countries. The bush administration remade rendition so that an individual can be brought to trail to gather information about future terrorist plan, through a means of coercive interrogation. Maher Arar was an example of this exact tactic. Punch, Maurice. (2009). Police Corruption: Deviance, accountability and reform in policing. Portland, Oregon: Willan Publishing.